Interceptive orthodontics is technique designed to reduce or eliminate problems with teeth before they lead to more serious dental issues. 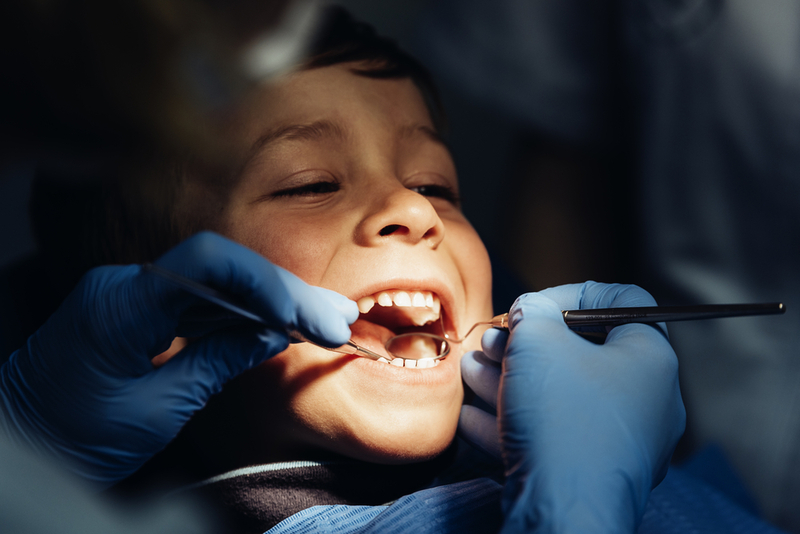 It is an ideal service for children because it can keep them from developing severely crooked teeth or a misaligned bite. Here, the team at Adams Dental Center in Lincoln, NE, shares the benefits of interceptive orthodontics for your child. Properly aligned teeth can reduce the risk of trauma and injury to the mouth and gums. Interceptive orthodontics allows a dentist to ensure that all your child’s permanent teeth are coming in relatively straight. By addressing issues early on, you’ll hopefully ensure your little one won’t need to have their teeth extracted when they get older. You’ll also might eliminate the need for long term braces. Proper breathing impacts your child’s dental health and the development of their jaws and facial features. A compromised airway leads to mouth breathing, which impacts the way the tongue is positioned and the way the cheek, lips, and swallowing muscles work. Without interceptive orthodontics, the face and jaw may not develop properly, and arches in the mouth won’t grow correctly, causing crowding. Compromised airways can also lead to sleep apnea. Early intervention can help open your child’s airway and reduces their risk of sleep apnea. Interceptive orthodontics corrects a variety of dental & health issues, including overbites, TMJ, crowding, and restricted airways. . All these dental deformities can impact your child’s smile, so monitoring and addressing them early will improve your little one’s overall dental health, enhance their smile, and boost their self-esteem. For more on how interceptive orthodontics will benefit your child and prevent future dental issues, call the dedicated staff at Adams Dental Center at (402) 484-6666. To learn more about their services, including family and cosmetic dentistry and sleep apnea treatment, visit them online.